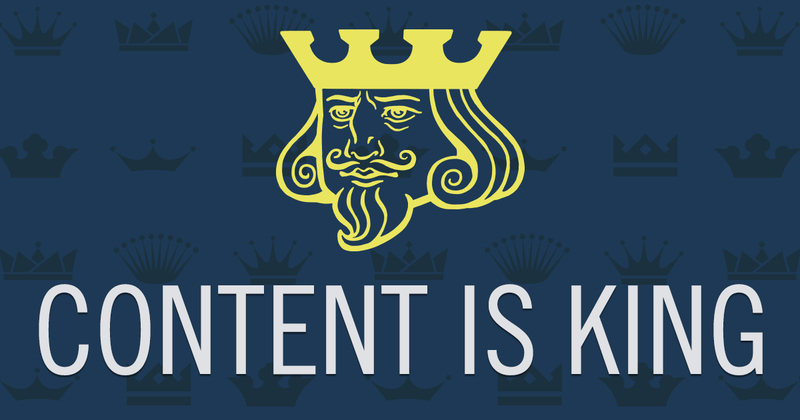 In the battle of good looks vs. content, content wins. Back in 1996, the early years of the internet, Bill Gates published a piece titled Content Is King in which he laid out how the future success of businesses on the internet would be to control the content people want. Those who control the content would control the internet. Fast forward 21 years and he was absolutely right. For example, looking at the world of entertainment both Amazon and Netflix have realized that just distributing other people’s content wasn’t enough. Producing and controlling the distribution of your own content (their own TV shows for example) is where more money could be both made and saved. Licensing of other people content gets expensive, but if you are distributing your own, in the long-run you save/make money. There is another way to look at the value of content. If we look at Craigslist, it still looks as if it was designed back when Bill Gates wrote Content is King. Its design style is incredibly dated, a throwback to a simpler time, but as one blog post examines it is also sort of the perfect design for what it looks to deliver. People don’t use Craigslist for the visual aesthetic, they use it because it has the content they want and it’s relatively simple to navigate. In the battle between good looks vs. content, content wins. Let it be said that in the world of BI not enough people consider the importance of visual design. Too many objects crammed into a page, KPIs without any context, inconsistent styles within an app, etc. all bring down the user experience. That said, if an app has the content people want/need to do their jobs, users will soldier on. The same can not be said for a great looking app that doesn’t have useful data. Spending time using a great looking app that can’t answer your business questions is just a waste of time. So when push comes to shove, and you are running out of resources on whether to sure-up the content of an app or make it look “cooler”, spend the time to make sure you are delivering the content people need. Conduct stakeholder interviews, talk with the future users who will be using the app and learn what they need the app to help them accomplish, and make sure the app delivers the content they need.